This month as an Asobi Ambassador it’s been about retro style toys and going back to my childhood. 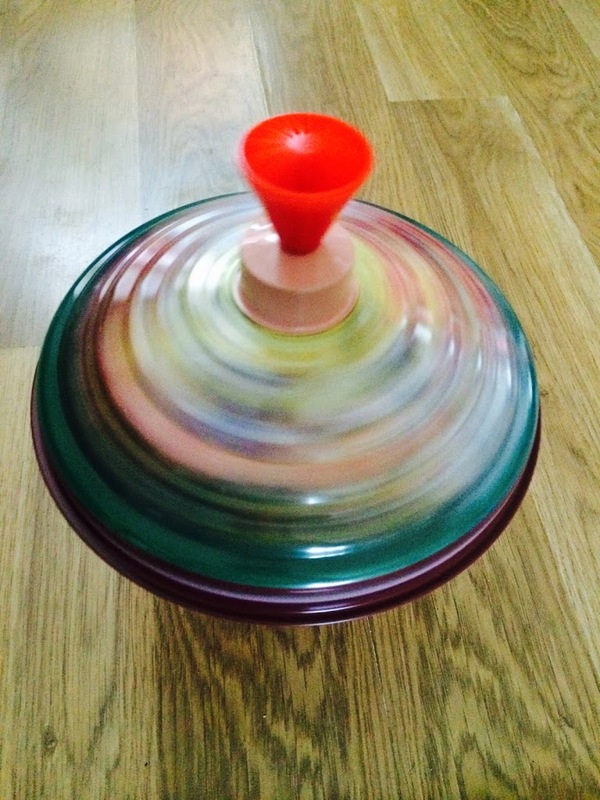 This month we tried and tested a traditional toy from Vilac Toys, we got to play with a spinning top. Of which we have another review and giveaway of this product. Why not have a look at what we’ve been testing over the last few months. Last month we built and painted our own CALAFANT Robot kit, which has brought us lots of enjoyment and family fun. July we got to review the Quercetti Marble Vortex Run, previously Safari Ltd Toys, then the fun and high flying Curiosity Kits Rocket Launcher, the previous month the fantastic PL-UG Ultimate Den Building Kit and the month before the Seedling Colour The Globe. Vilac is a well-known French brand which is incredibly diverse and is famous for it’s classic retro designs that will bring back fond memories of your own childhood. I feel it did this for me. I remember having a tin spinning top as a child and toys back then seemed simpler than toys of today. It’s nice to go back to basics. 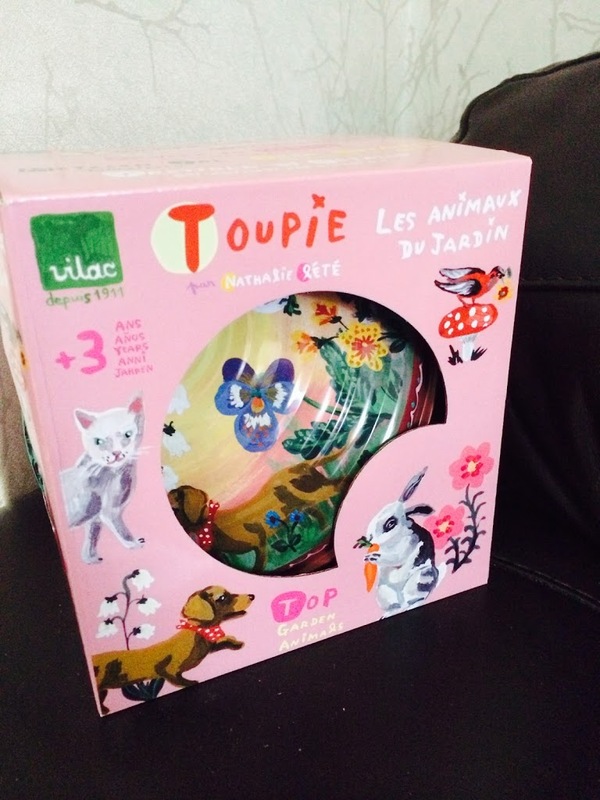 The Vilac spinning top comes in a lovely box and would make a perfect gift for any little one, especially a little girl. 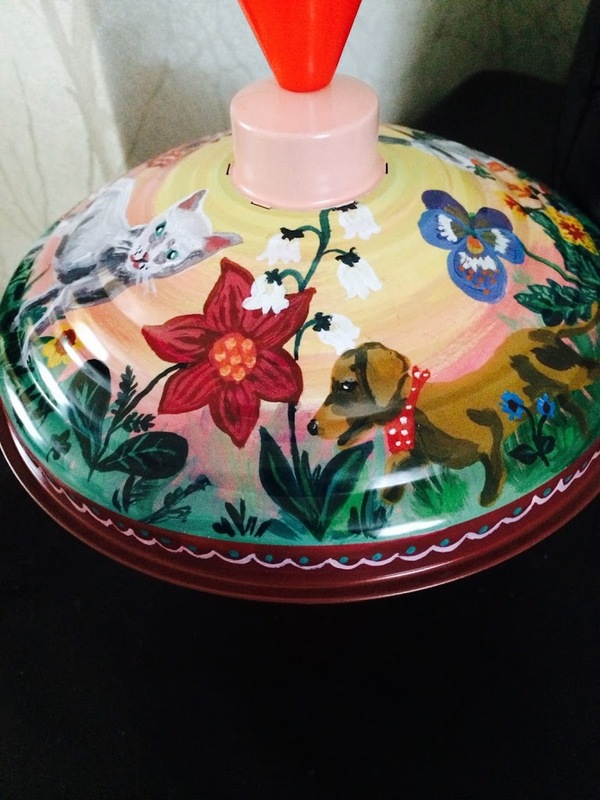 The box is painted with cute animals which gives you a sense of what the top is like inside. As you can see it’s beautifully painted. The colours and pictures work well when the top is spinning to make a gorgeous kaleidoscope of colours and shapes. Aria got the hang of it pretty quickly, and although she couldn’t spin it as fast she was able to work out how it went. The top makes the haunting buzzing melody you remember the traditional ones making, which always brings a smile to my face remember my one as a child. Beautiful isn’t it. If on a flat surface it can spin for a fair amount of time. I was pleasantly surprised. To work, you lift the red handled lever out and push down on it. And away it goes. 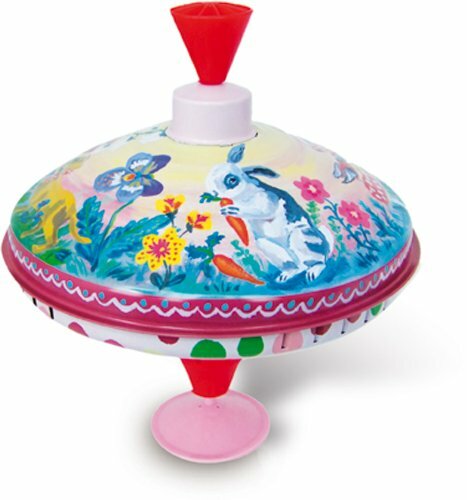 Did you have one of these tin spinning tops as a child? Do you have fond memories? We don’t have a lot of traditional toys around any more as the boys have gotten older, but I’m enjoying re-introducing them to Aria. If you are looking for a lovely traditional gift or a little bit of nostalgia this is the toy for you. It’s simple, well made and looks beautiful. 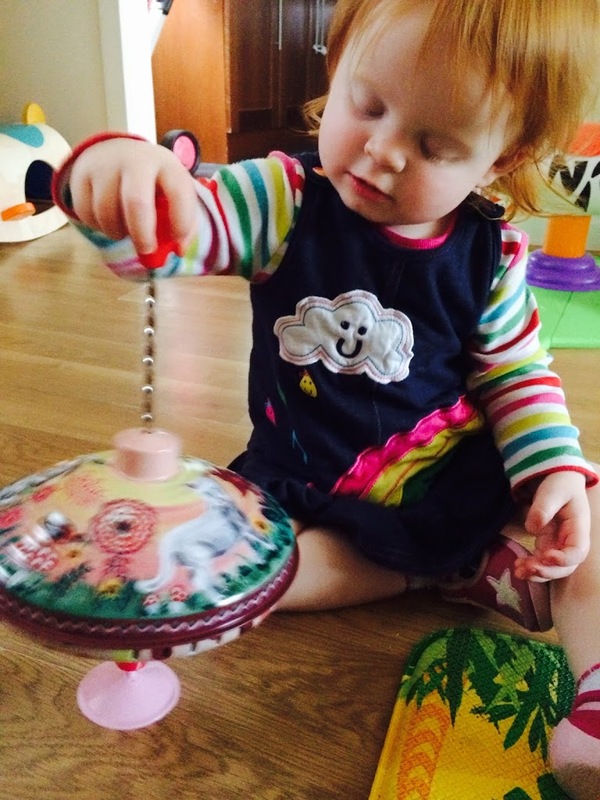 This spinning top is a timeless classic that my little girl has went back to time and time again. Although it says recommended for ages 3 plus, there are no little bits and it’s very simple to use. Providing there is supervision, I would say that children much younger can enjoy this stunning spinning top. These toys are available from Kind Toys. I would highly recommend these. Also to support #AsobiAmbassadors, Kind Toys are offering a 20% discount off all Vilac products throughout October using discount code Vilac at the checkout. The other Asobi Ambassadors have been reviewing different Vilac Toys, see what they thought of them and enter their competitions too Edspire, A Mummy Too and Lilinha Angel tried out.